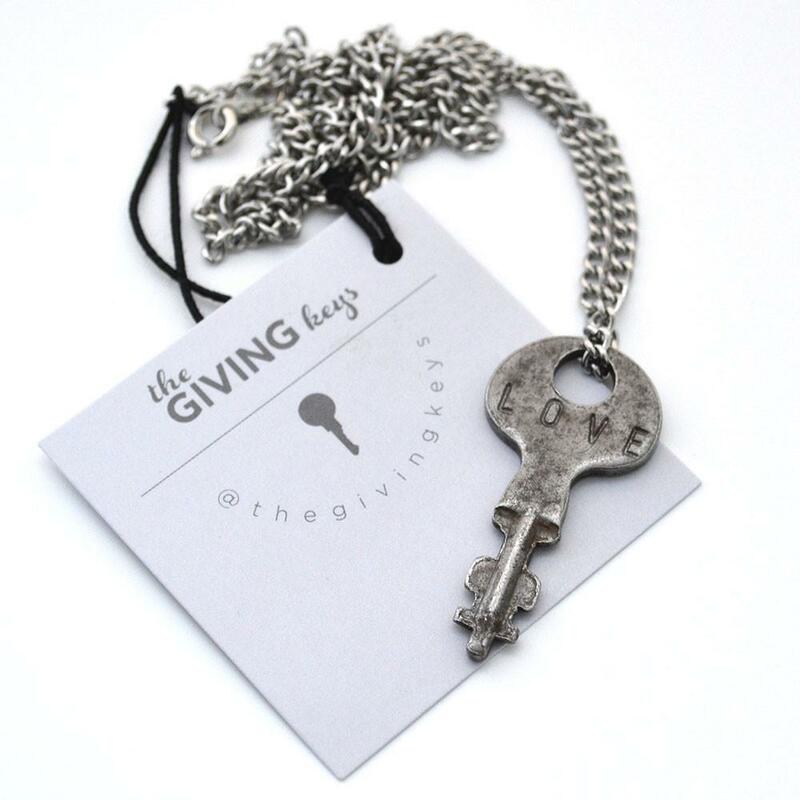 Recycled and made by those transitioning out of homelessness, each Giving Keys necklace is unique and stamped with a simple yet profound message. The idea is you wear it, and at some point give it away to someone you feel needs the message. 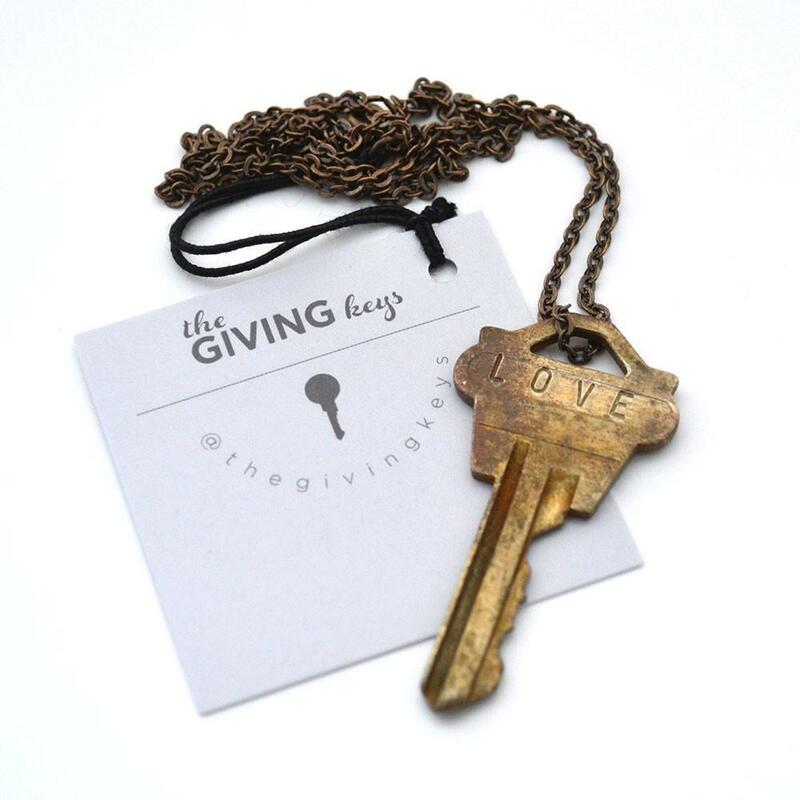 This Giving Key is stamped with the word "Love". 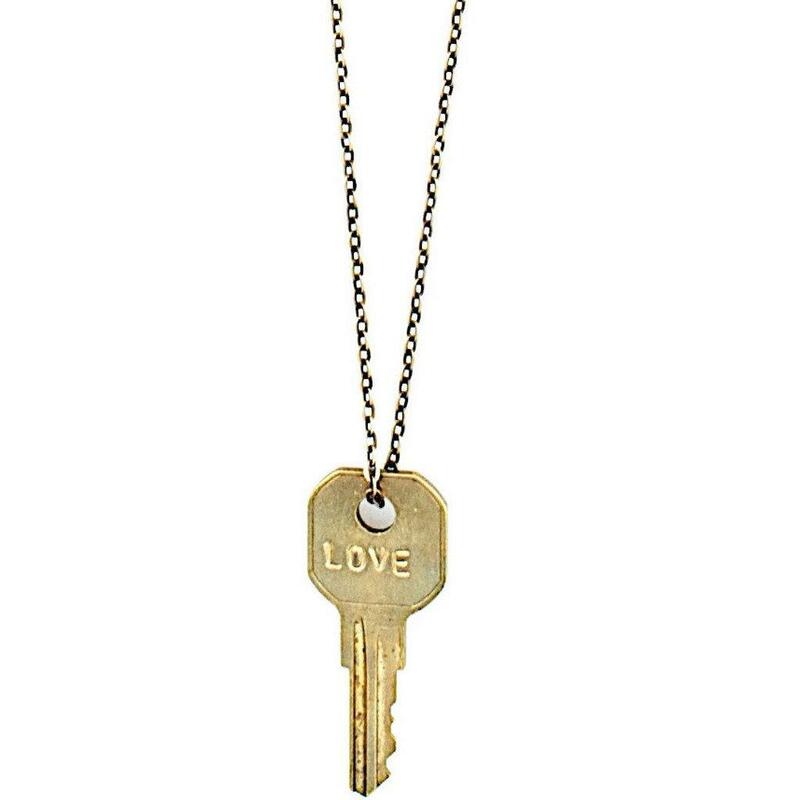 Show somebody some love, or remind them to love, this necklace is a gentle reminder.